BUCKS COUNTY, PA (January 16, 2019) – Bucks County, Pennsylvania is gearing up for an exciting new year. 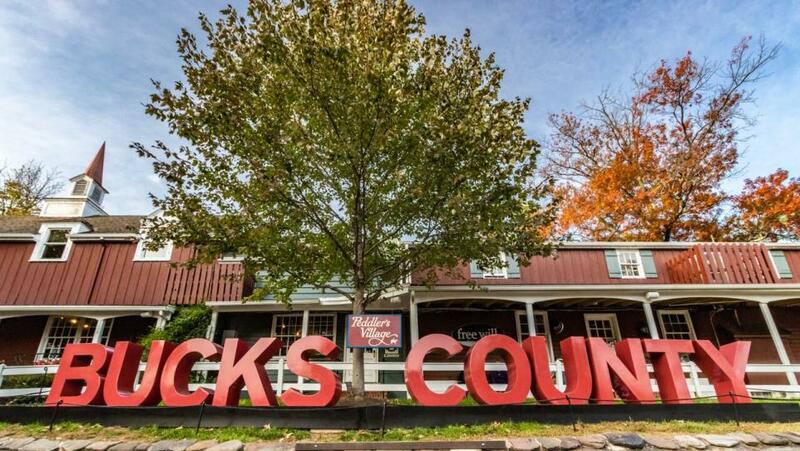 From renovations at historic properties to new museum exhibits and brewery openings, a visit to Bucks County is a must in 2019! 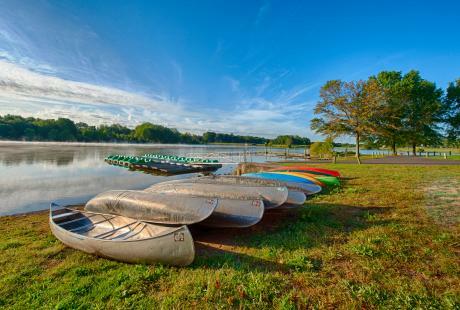 To help you plan your trip, Visit Bucks County has rounded up the reasons to start booking your getaway to the area. Now you’ll really want to arrive early to the Bucks County Playhouse. 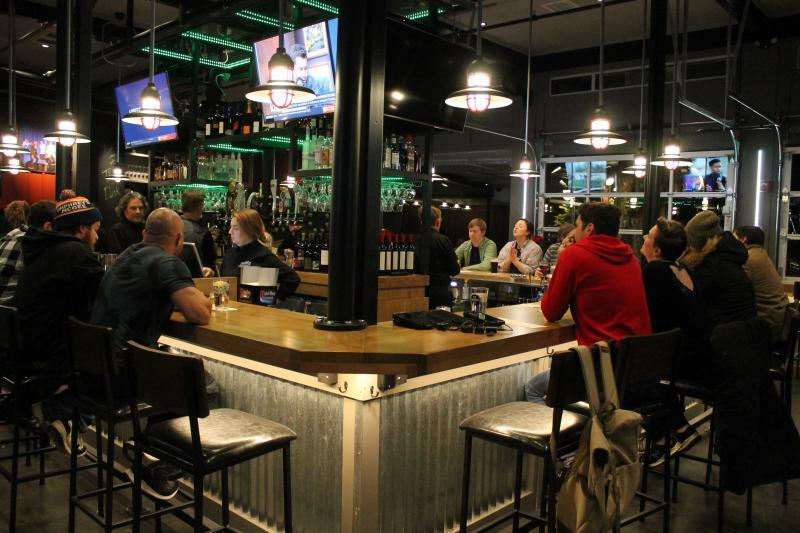 The Deck Restaurant and Bar at the Bucks County Playhouse is now officially open! Featuring homespun gastropub fare, craft cocktails and beers on tap, this 126-seat venue off the back of the renovated Bucks County Playhouse will offer lunch, dinner and late-night fare for visitors to New Hope and theater-goers. Eat, drink AND stay. Because right next door, the Ghost Light Inn will open in the spring with 15 guest rooms, a farm-to-table restaurant and event space, where Iron Chef Jose Garces from Philadelphia will be a consultant. The building will be connected to the brand-new river-walk promenade, featuring some of the best views of the Delaware River in New Hope. Several steps away, visitors can also grab a bite to eat at The Ferry Market, a small-scale Reading Terminal Marketplace along the river featuring a dozen rotating vendors. The return of the Riverhouse at Odette’s. Formerly Chez Odette’s, the luxury boutique hotel and riverside restaurant, expected to open in spring 2020, will continue renovations to include 34 guest rooms, a rooftop bar and lounge and wedding venue space for up to 220 guests. Three new breweries and a beer garden under construction. The Newtown Brewing Company, a 4,600-square-foot brewery and taproom, is scheduled to open in the summer at 103 Penns Trail in the Newtown Business Commons. The building will have seating for 70 and be a BYO for food. There will also be a space available for hosting small parties. Warwick Farm Brewing in Jamison is currently finishing up land developments to build a taproom and parking lot and plans to open in 2019. Odd Logic Brewing Co., the much-anticipated Bristol brewery, is set to open in 2019 as well. 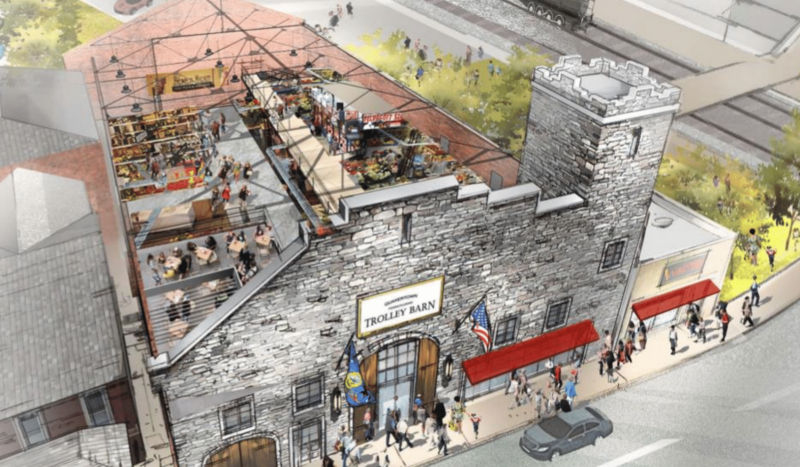 As for beer gardens, the Trolley Barn Public Market, a 19,000-square-foot market across the tracks from the old train station in Quakertown will continue construction. It will feature up to a dozen vendors, including a pub, café and beer garden. Make that two beer gardens, and a way to bet on the Eagles, thanks to Parx Casino®! Pennsylvania’s top casino will open an outdoor beer garden in late January. 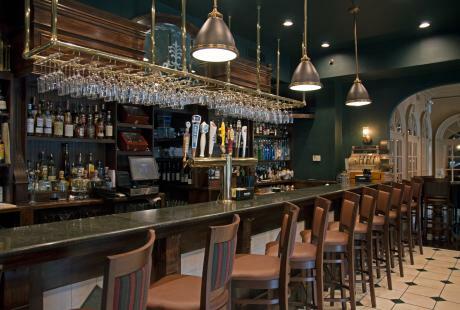 With 24 rotating craft beers, 14 wine options, specialty cocktails and an exceptional food menu. 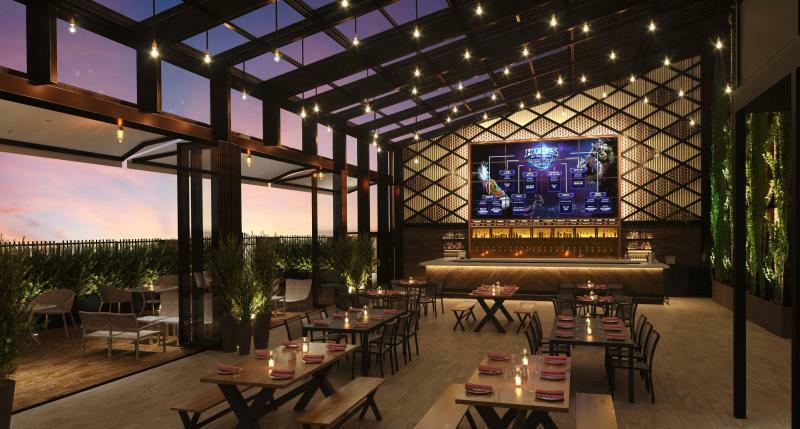 Open year-round, thanks to the custom-built retractable patio walls and roof, the beer garden will be fitted with 2 giant LED TVs showing sports and other live events, a fire pit and interactive games. With the recent launch of sports betting, Parx will be a top gameday destination and sports betting hotspot for NFL, MLB, NHL, NBA, College sports, soccer, MMA, golf and tennis. You won’t ever want to leave! Doylestown is alive with the sound of music! 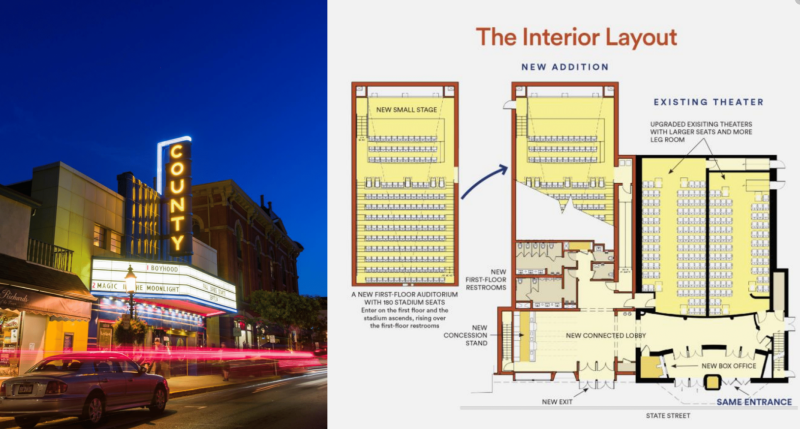 Renovations will begin for the 2020 opening of the expanded County Theater in Doylestown that will include 180 new seats, indoor ticket sales and first floor bathrooms. Also, Broadway musician and lyricist Oscar Hammerstein II’s Highland Farm in Doylestown received an extension to continue to fundraise until November 2019 for the Oscar Hammerstein Museum & Theatre Education Center, which will convert the famous site for preservation and tourism. Strike a pose. Visit Bucks County unveiled a 32-foot, steel sculpture logo in Peddler’s Village! The sculpture will rotate throughout the County in 2019, providing an opportunity for visitors to pose and post their photos on social media. Find out where it is headed to next by following @VisitBucksPA on Twitter, Facebook and Instagram! 106 more reasons for you to stay the night. The 4-story, 106-suite Home2 Suites by Hilton Warminster-Horsham, part of Hilton&apos;s All Suites portfolio, is located at 230 Veterans Way. Guests can enjoy an indoor pool, fitness area, and close proximity to numerous corporate business parks, as well as attractions such as the Mercer Museum, Peddler’s Village, and Sesame Place. The hotel is also within walking distance to the SEPTA Warminster Regional Rail Line. Booking activities just got WAY easier. Visit Bucks County’s website will now feature a Book Activities option. A ticket booking platform is now integrated into VisitBucksCounty.com as a way for visitors to purchase passes to attractions. A kiosk is also available at the Bucks County Visitor Center in Bensalem for tourists to book in person. We all scream for (more) ice cream. The Bucks County Ice Cream Trail is expanding. This 13-creamery tour is the perfect way to scoop up your favorite summer treat, and now there’s one more location. Nina’s Waffles & Ice Cream will open its fifth store location in Newtown in March. The popular creamery already has its own food truck and shops in Peddler’s Village, New Hope (two) and Doylestown. The new store will be located on 2905 South Eagle Road inside the Toll House building in the Newtown Shopping Center. Visit Bucks County’s Restaurant Week is back for seconds. 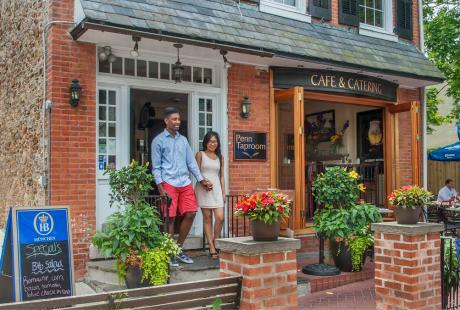 Visit Bucks County Restaurant Week will return Sunday, April 28 through Saturday, May 4. A wide variety of restaurants are expected to participate in this tasty event that offers discounted, prix fixe menus to visitors and locals dining out around Bucks County. Wedding bells are ringing! The 2019 Bucks County Wedding Show will be on Sunday, March 10 at the Moumgis Auditorium at Delaware Valley University from 12 – 3 p.m. Join Visit Bucks County for a one-of-a-kind wedding showcase featuring all of Bucks County’s finest venues! Enjoy food and beverage tastings along with several D.I.Y. and entertainment sessions. Diversity, discovery and decorating at the Bucks County Visitor Center. Now through March 23, see the LGBTQ+ exhibit hosted by New Hope Celebrates, Equality: Pride in our History at the Bucks County Visitor Center in Bensalem. Then, don’t miss the African American Museum of Bucks County’s four-part speaker series, featuring: Civil Rights Yesterday, Today and Tomorrow (February 9), Women History Makers of Bucks County and Beyond (March 9) and Jazz and the Great Migration (April 13). Come summer, the annual Bucks County Quilt Show will take the stage and in December, Holiday Trees at the Bucks County Visitor Center will be back for round two. Get a prize… for drinking beer. The Bucks County Ale Trail is developing a passport, launching early this summer, for craft beer lovers to mark off as they sip their way through the 15 craft breweries in Bucks County. Visitors and locals can pick up their passports at participating breweries, including established brewpubs along the creek and start-up breweries concocting craft IPAs. After visiting five breweries along the Ale Trail, beer connoisseurs will receive a FREE Bucks County Ale Trail t-shirt, designed by a local artist. Engaged couples can add this new venue to their list. Nostalgia 1720 will open in April in Chalfont. 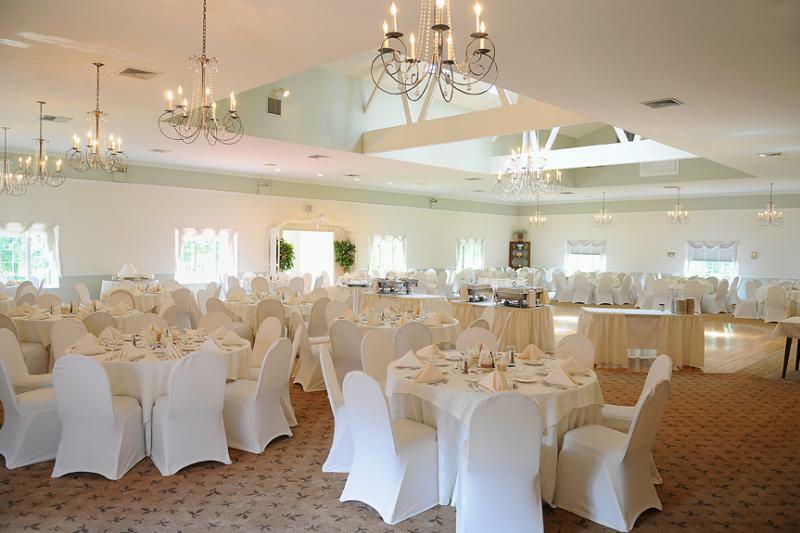 The wedding and event venue, set on a historic farm house plantation, will accommodate up to 250 guests. The charming and romantic outdoor garden features a beautiful pond and fountain for ceremonies and the grand staircase entrance, gilded walls and ceiling offer a royal site for receptions. The space will be hosting their first public event, a Wedding Show, on April 14. Families ‘wool’ want to visit Washington Crossing Historic Park. Washington Crossing Historic Park will host a Wheat & Sheep Day event for all ages at the Thompson-Neely Farmstead on April 27. It will include sheep shearing, tours of the Thompson-Neely House and renovated Grist Mill, milling demonstrations, cooper work (barrel making) and other activities related to life on a colonial farm. Come baaah-ck the following weekend, May 4, for the Park’s annual Spring Brewfest. You belong among the wildflowers. Bowman’s Hill Wildflower Preserve, a beautiful botanical sanctuary in New Hope is progressing forward with its Aquetong Meadow Project. The opening phase of the project, which includes a fully functioning new meadow with wet and dry areas to maximize the potential for plant diversity and striking visual displays, is set to be completed in 2021. 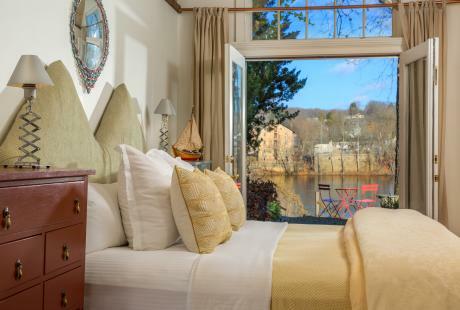 Peddler’s Village is “peeping” up with 5 new festivals! 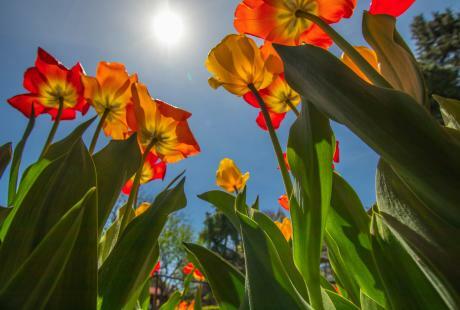 The 42-acre outdoor shopping and dining destination in rustic Lahaska known as Peddler’s Village is rolling out 5 new events this year, including: Peeps® Through the Village (April 17 – 28), Spring Kidsfest (April 27 – 28), Art in the Village (June 1 – 23), Art & Wine Festival (June 22 – 23) and Outdoor Movie Nights (July 19, September 13 & 14). The Michener is curating 5 new exhibits. The James A. Michener Art Museum, the Doylestown museum named for the Pulitzer Prize-winning author and based in the once Bucks County Prison, has several exciting exhibits opening in 2019, including Leslie Pontz: Integration (open through February 17), Frank Hyder: The Janis Project open through February 23), Nakashima Looks: Studio Furniture from the Permanent Collection (March 2 – June 9), The Art of Seating (February 9 – May 5) and The Color of the Moon: Lunar Painting in American Art (June 1- September 8). And the Mercer is curating 5 new exhibits. The historic Mercer Museum that houses 40,000+ artifacts from the Industrial Revolution collected by Bucks County native and famed archaeologist, philanthropist and tilemaker Henry Chapman Mercer, will host the following exhibits: Manufacturing Victory: The Arsenal of Democracy (February 2 - May 5), From Here to There (June 1 – September 8), Making Astronauts: Bucks County to the Moon (June 1 - September 8), Forging a Link: Metalsmiths Respond to the Mercer Collection (September 28 - January 5) and Pigskin Peanuts (November 16, 2019 - February 9, 2020). Pearl S. Buck International will be hosting a series of cultural discussions. The Pearl S. Buck House in Perkasie, former home of Pulitzer Prize-winning author of The Good Earth and advocate of international adoption in America, has several events upcoming in 2019: Building on the Dream: African Americans in Bucks County (February – July), Between Two Worlds: Identity & Acculturation, The New Americans Episode 1: The Nigerians by Steve James (January 13), Help Wanted? Immigration & Work, Destination America Episode 1: The Golden Door by Stephen Sept and David Grubin (February 10) Family & Community: My American Girls by Aaron Matthews (March 10) and Immigration & Popular Culture: The Search for General Tso by Ian Cheney (April 14). Visit Bucks County (VBC) is the official tourism promotion agency for Bucks County. The tourism office promotes all there is to see and do to potential visitors and residents. In addition to consumer travel, Visit Bucks County targets sports tournaments, motorcoach groups, meetings, special events and weddings. For more information on VBC activities call 1-800-836-BUCKS, visit VisitBucksCounty.com or stop by the Bucks County Visitor Center located at 3207 Street Road in Bensalem (adjacent to the entrance to PARX Casino). The Visitor Center is open seven days a week from 9 a.m. until 5 p.m. It is easily accessible from the Pennsylvania Turnpike, Route 1 and Interstate 95.